The well accepted music streaming service, Pandora has a 40 hour monthly limit for streaming on free accounts. Seems like Pandora brings good news for its users. It has been scheduled to remove the limit from next month onwards. Now free accounts too will be able to stream an unlimited amount of music every month. Now another concern has been raised regarding the free portion of the service as there might be a possible increase in the length and appearance of advertisements. This sudden change in Pandora’s free subscription model has been possible only because of its improved ads in its mobile app platform. It has been calculate that Pandora today has more than 70 million monthly listeners. It is has successfully attained the position of the third largest ad revenue earner just behind Google and Facebook. However, it is further estimated that the change was made possible because they can presume the fact that only 4% (2.8 million) of Pandora’s free listeners will stream more than 40 hours of music every month. The music streaming service has to still go a long way to earn profit. It hopes to bring some by the second half of 2014. 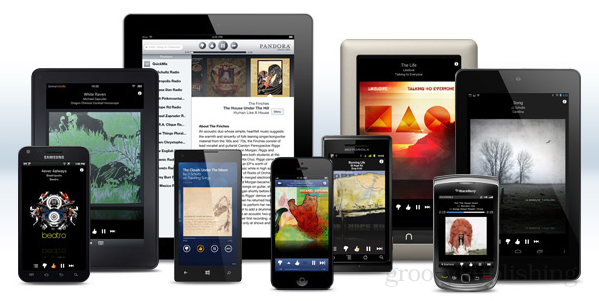 Pandora still offers its premium service Pandora One for $36 per year.